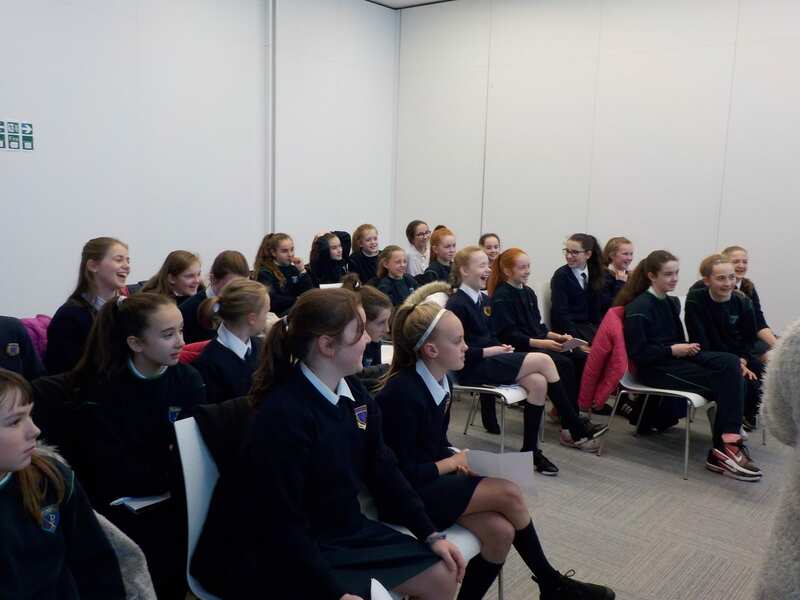 We were very excited as we headed into Ballyroan library to a Junior Einstein workshop as one of our Science activities during Science Week 2017. 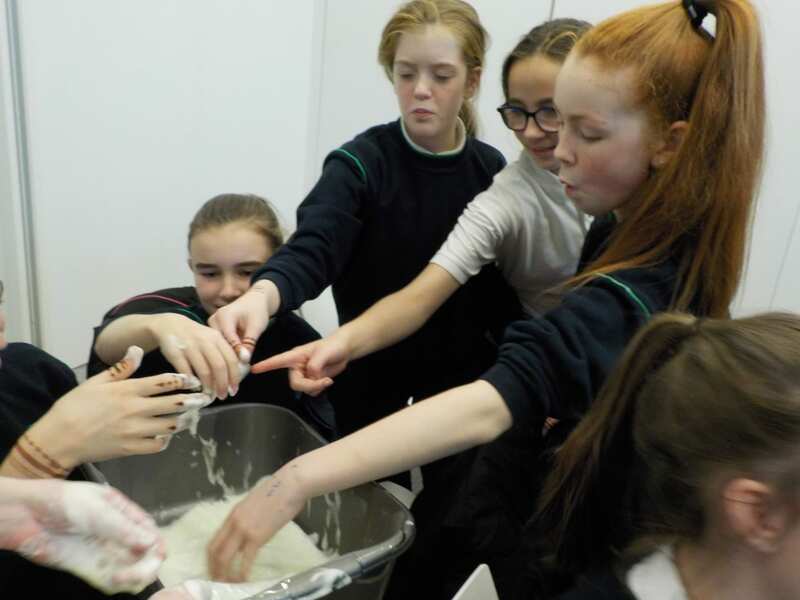 Sarah was giving the workshop and the first thing we did was make an oobleck! 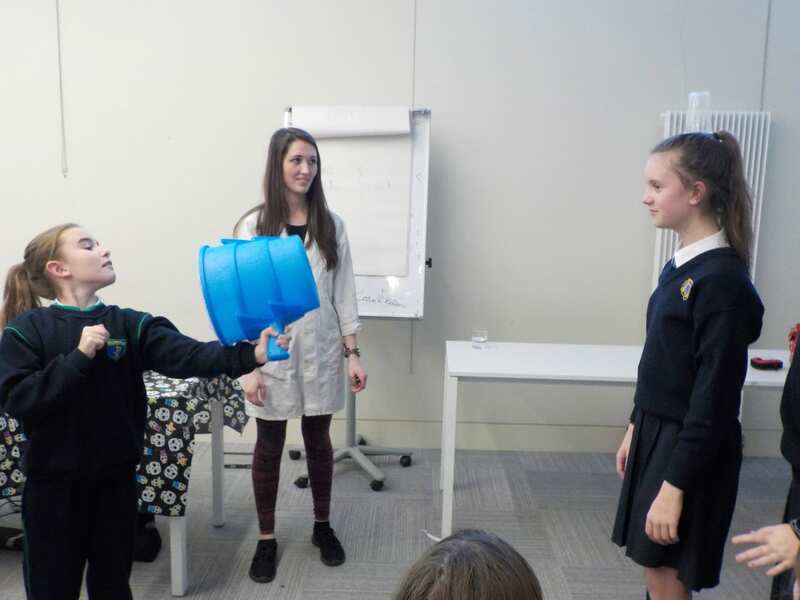 As many of us had never heard of an oobleck, Sarah explained that it is a non newtonian fluid. This means it is both a liquid and a solid! It`s made from cornstarch and water. You slowly add water to cornstarch. Keep stirring until it feels like honey. If you grab some of it and squeeze it, it will form a solid ball in your palm, but when you unclench your fist and release the pressure, it will slide through your fingers like a liquid! 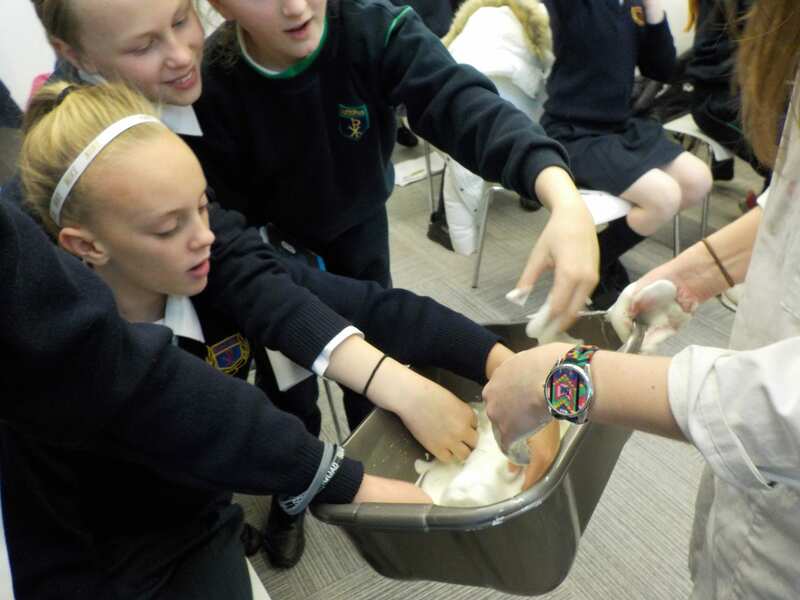 We also made elephant toothpaste which was made from yeast and water. We added in fairy liquid and bleach to make it explode. .
We loved the plasma ball. It`s a clear glass ball filled with a mixture of high-voltage electrodes at the centre. Plasma filaments extend from the electrode when electricity is supplied, creating fascinating beams of coloured light. We discovered our bodies are great conductors of electricity and when we placed our fingers on the glass, it was like creating a bolt of lightning from the electrode to our fingers! When we brought a bulb near the plasma lamp, it glowed! We loved the Van der Graaf generator which is like a big aluminium ball. Sarah told us it had 200.000 volts in it! There was a motor inside it with rubber bands that rubbed off each other and made static electricity! 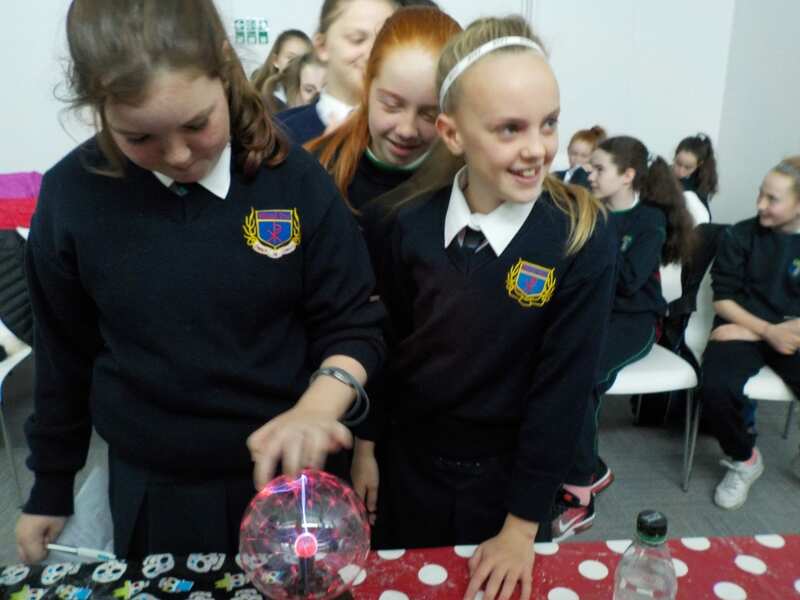 We did lots of experiments with the generator including electrocuting Barbie and creating U.F.O.s! Finally we had a competition. We were shown how to use an air bazooka! The bazooka is a way to “see” air as it moves objects within its “blast zone”! Our aim was to knock the plastic cup off the head of our opponent! 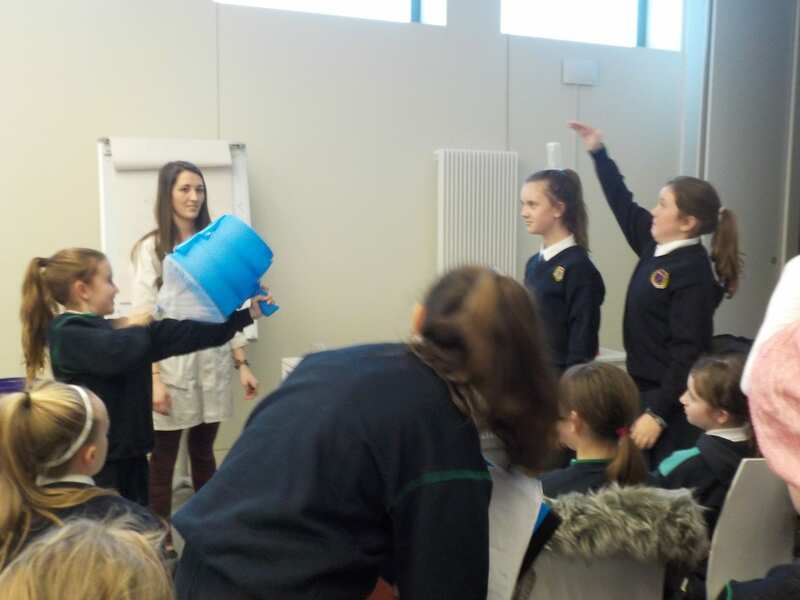 Thanks Junior Einstein and Ballyroan library for an excellent afternoon of Science fun!